Anne Evers joined the Churchill team in 1984 and has a Bachelor of Arts degree from St. Louis University, a Master of Arts degree from St. Louis University, and an Educational Specialist degree from Webster University. 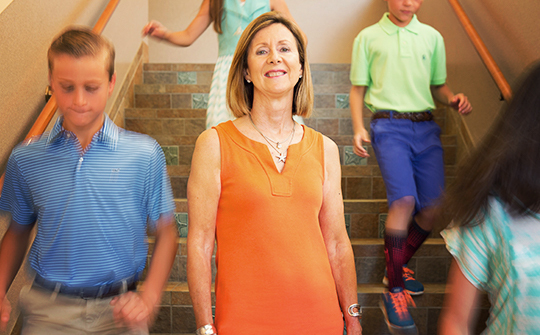 She loves the almost immediate change she sees in students from the start of the admissions process to the first days of attending Churchill, and appreciates their increased confidence and smiles as they continue to flourish. In her free time, Anne enjoys spending time with friends and family, taking walks, traveling, and reading.